We have been covering the camouflage developments in Australia for quite some time and there is definitely some interesting twist and turns they have taken along the way. After all was said and done they were finally settled on some camo options for their different services, or were they? One of our sources down under sent us some information about new camouflage developments, which really rose an eyebrow. He has given his breakdown on the main aspects of the US Army Camouflage Improvement Effort and its parallels with his own country's comedy of errors. 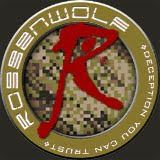 June 29, 2010: US Army Research, Development and Engineering Command (RDECOM) indicated a need for a family of camouflage patterns suitable for uniforms and personal equipment. And lo! The US Army Camouflage Improvement Effort was underway. The stated purpose of the CIE was to procure a family of camouflage patterns including one for woodland, one for desert, one for transitional terrain and one for personal equipment in all operating environments. 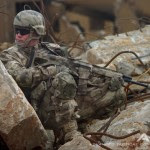 June 28, 2012: Army uniform experts and scientists were still evaluating the handful of patterns that made it to field trials when the news broke that officials running the CIE had hit upon two options. One was to declare MultiCam the Army's official camouflage pattern. The other was to make MultiCam the pattern for garrison and general deployment use, but to also have a family of approved camouflage patterns that could be issued for specific operating environments. OK, so MultiCam hadn’t been one of the official contenders. But there was still some small hope that one of the four remaining submissions would prevail and all the time, money and effort that went into CIE wouldn’t be wasted — right? Wrong. On February 27, 2014, Military.com revealed that none of the CIE finalists had been selected. What’s more, US Army was also balking at the hefty royalties Crye Precision wanted for the use of MultiCam. So now Army is reportedly thinking about creating a MultiCam-colored version of UCP or MARPAT — but you already know all this. And if you’re not one of the few who stand to make some serious change out of this sad farce, I imagine you feel confused, angry and maybe just a little bit embarrassed about it all. 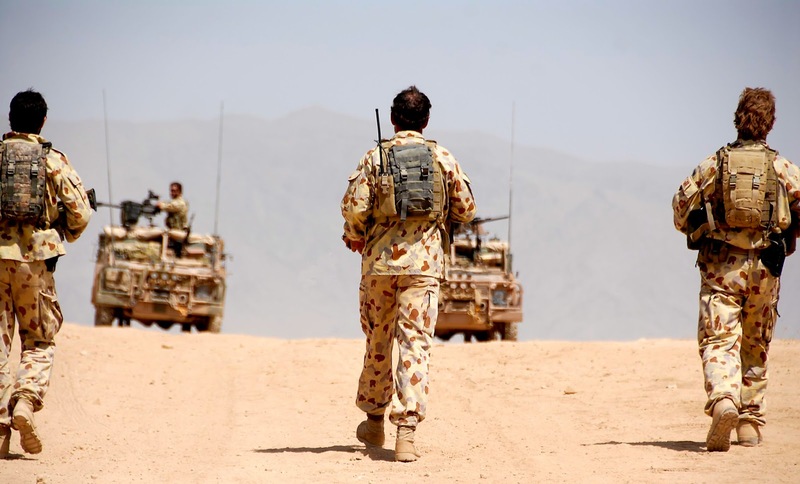 November 2001: Operation Slipper kicked off and, almost immediately, the Diggers deployed to Afghanistan remarked that there were problems with their issued uniforms. Disruptive Pattern Camouflage Uniform (DPCU) worked well enough in and around the “green belt” but was too green for open terrain. Disruptive Pattern Desert Uniform (DPDU) was great for open areas but was too light for the “green belt.” Something needed to be done — and fast! August 2010: Nine short years later, the Disruptive Pattern Mid-point Uniform (DPMU) was proposed as a solution. The pattern was the same as DPCU and DPDU but the colourway had been adjusted, to answer the needs previously mentioned. However, it was not without its shortcomings. One criticism was that the new colorway was still slanted toward operations in the desert. Another was that initial trials showed standard DPCU performed better in most areas. Whatever the case might actually have been, DPMU was quickly and quietly withdrawn. 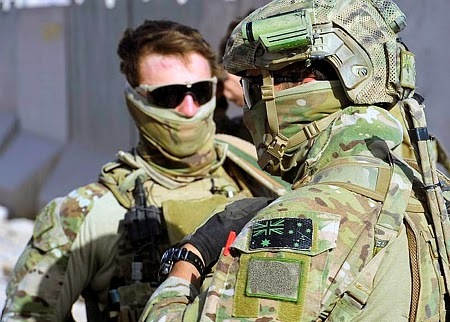 May 2011: Seven months later, the 12-month trial had been such a resounding success that the Gillard Government directed Australia’s Defence Materiel Organisation (DMO) to license the rights to manufacture Crye G3 Combat Uniforms locally. 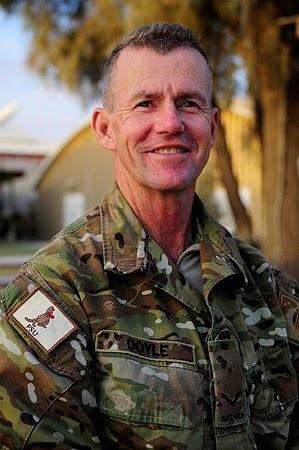 DMO was also ordered to commission and license “a uniquely Australian” version of the highly successful MultiCam pattern, which was to be “recognizably Australian.” Brigadier Mike Phelps, then Director-General of Integrated Soldier Systems, said the first prototype of the new uniform should be available in about five weeks’ time. October 2012: The Australian MultiCam Pattern (AMP) made its tastefully understated debut just a whisker under 73 weeks later. Still, the wait had been worthwhile. For the princely sum of AU$3.1 million, the Gillard Government had purchased its very own version of MultiCam, which featured adorable little hearts and bunnies just like the ones on the original DPCU. And the camouflage really worked, too; at all but the closest ranges, AMP was practically indistinguishable from its famous precursor. By the time an enemy belligerent could actually see the “recognizably Australian” bits, I imagine a Digger could’ve kicked him square in the nuts. April 2014: Yet it seems that the pattern we bought still wasn’t “uniquely Australian” enough. Beginning at the end of last year, I started to hear rumors that a DPCU-colored version of AMP was in the works. And while the thought of such a thing might fill your heart with fear and loathing, I am sad to say that the rumors have since been confirmed; some of my associates (who shall remain nameless) were privileged enough to see a sample, earlier this month. I’ve been told the original AMP pattern has been scaled down and two more colors have been added to the five from DPCU. Now, here’s how I see things: The Gillard Government really really really wanted Diggers to wear what all the cool kids were wearing — so much so that they were willing to forego the usual process of tender and trial and ignore home-grown options like the pattern Bruck Textiles had developed, or the design Roggenwolf supposedly prepared. 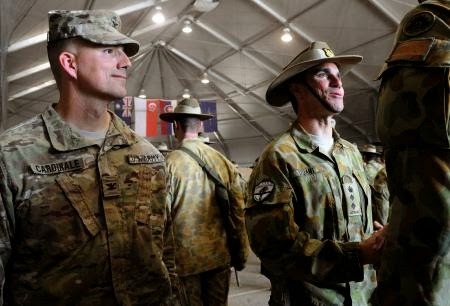 But after spending millions of dollars to get “the look,” someone, somewhere, finally realized that our Australian Diggers might actually lose their distinctive identity of appearance. So the current Government is busily investing even more time and money in an effort to “fix” its predecessors’ mistake, by making AMP look more like DPCU — the camouflage pattern we had in the first place! Cf. Matthew Cox, “Army to Recommend MultiCam for Entire Force,” Military.com, Jun. 28, 2012 <http://www.military.com/daily-news/2012/06/28/army-to-recommend-multicam-for-entire-force.html> (retrieved April 27, 2014). Cf. Matthew Cox, “Army Considers Marine Corps Camo for New Uniforms,” Military.com, Feb. 27, 2014 <http://www.military.com/daily-news/2014/02/27/army-considers-marine-corps-camo-for-new-uniforms.html> (retrieved April 27, 2014). Cf. Dan Oakes, “Sniper apologises to chief over camouflage criticism,” The Age, August 30, 2010 <http://www.theage.com.au/national/sniper-apologises-to-chief-over-camouflage-criticism-20100829-13xmx.html> (retrieved April 27, 2014). This practice was in place before MultiCam was designated “Operation Enduring Freedom Camouflage Pattern” (OCP) and authorized for wear by US Army forces deployed to Afghanistan. 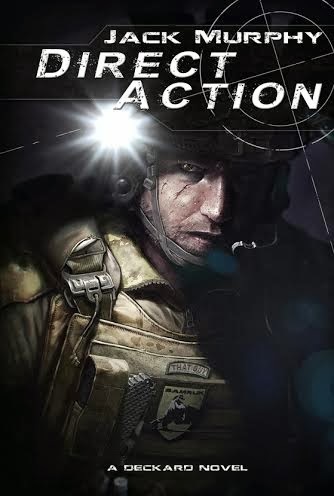 An unconfirmed rumor has it that SOCOM promptly switched to A-TACS, when it was announced that MultiCam was to be worn by the common run of soldiers. Cf. Ian McPhedran, “Australian troops to get US uniforms,” The Advertiser, November 19, 2010 <http://www.adelaidenow.com.au/news/national/australian-troops-to-get-us-uniforms/story-e6frea8c-1225955915874> (retrieved April 27, 2014); “Uniform to put troops in the background,” “New combat uniform makes troops job easier,” Defence News, November 19, 2010 <http://www.defence.gov.au/defencenews/stories/2010/Nov/1119.htm> (retrieved April 27, 2014); The Sydney Morning Herald, November 19, 2010 <http://news.smh.com.au/breaking-news-national/uniform-to-put-troops-in-the-background-20101119-1808v.html> (retrieved April 27, 2014). Cf. Max Blenkin, “New defence uniforms on the way,” The Sydney Morning Herald, May 30, 2011 <http://news.smh.com.au/breaking-news-national/new-defence-uniforms-on-the-way-20110530-1fcay.html> (retrieved April 27, 2014). Cf. Kate Coughlan, “180 times cheaper ‘if Bruck won’,” The Border Mail, June 3, 2011 <http://www.bordermail.com.au/story/58739/180-times-cheaper-if-bruck-won/> (retrieved April 28, 2014).